Both Nick and Dean are on a path of self-destruction, though they both believe it’s for the greater good. What will eventually happen, even with the way we left things at the end of the episode, is still up in the air. But whatever the outcome, we’re carrying on the tradition of despair that we’ve come to know and accept. Dean’s acting weird, and it’s quite obvious he’s up to something. After packing up books and other items from the bunker, he’s set to head out on his own for some mother-son bonding time. That’s Sam’s first clue something is amiss. Dean is going to see their mother and doesn’t want Sammy to tag along? That’s strange. So, too, was the fact Dean hugged him before he left. 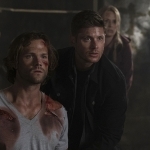 While the Winchester brothers do hug, as Sam points out, they often reserve that exchange of emotion for when the world is literally about to end or they have just come back from the dead. Neither of those situations seemed to fit this time, so what could Dean be up to? Adding to the mystery is how he meets up with Donna and gives her a long goodbye as well, before heading out to the cabin to see Mary. And then he sends his mom away for groceries so he can be alone and get started on his plan. What that plan was remained a mystery. All we knew was that he was building something, relying on the books and guidance he brought with him. And it was obvious that keeping Michael at bay was becoming troublesome, as the archangel increased his attempts to break free of his hold. But none of that helped answer what he was constructing out in the shed. Mary learns the truth later that night, when she finds his construction, but we don’t get let in on the secret until much later. Everything tied together rather well with Nick’s mission of vengeance and bringing it back into the main storyline. He’s still trying to track down Abraxas so he can learn the truth of why the demon chose to kill his family. His new lead, thanks to a female demon he captured and tortured, led him to Hibbing, Minnesota. That’s also where Mary, Donna, and Dean were, as well as Sam later on, so it was a nice convergence of plots. He has run-ins with all of them, determined to reach his goal no matter the consequences. First Donna got in Nick’s way, when she pulls him over and arrests him for stealing the van he was driving. Poor Donna, getting attacked and tasered, feeling guilty for letting a dangerous man slip through her fingers. Then Mary was in Nick’s sights, since she’s the one that captured Abraxas and locked him away in an Enochian puzzle box. That led them to a storage facility in Grand Rapids, with Donna and the boys not too far behind as they are tracking Nick’s movements. And the storage facility is where it all went down, for better or worse. Abraxas gets freed, put into the body of the unlucky security guard, and Nick gets his answer. Though, it’s not quite the answer he was looking for. Abraxas was following orders from Lucifer when he killed Nick’s family. The big man had plans for Nick all along, and he played right into Lucifer’s trap. And that revelation became Nick’s downfall, at least for now. He stabs Abraxas in the heart, adding to his kill total, before Donna and Mary take him down and destine him for jail. With Nick squared away, it was time to focus back on Dean and what he’s been up to. I appreciate that Dean finally told Sam, even if it was under threat of Mary doing it if Dean didn’t. Turns out, he’s building a Ma’lak box. Once inside, nothing gets out, not even an archangel. That’s Dean’s solution to this whole Michael situation. He wants to be buried at sea for eternity, to protect the world from Michael ever being released. 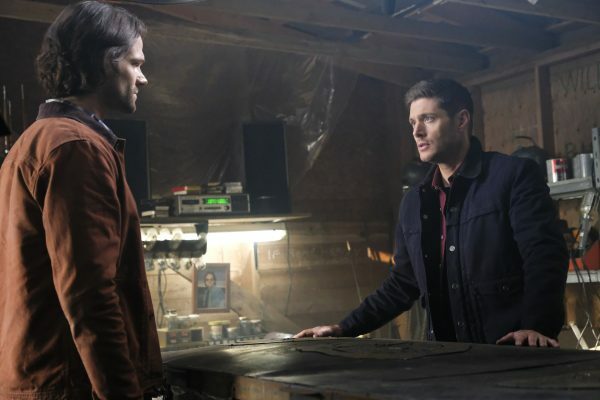 It’s a messed up situation all around and, even if Sam agrees to help Dean at the moment, I cannot foresee this being a solution that will work for very long. 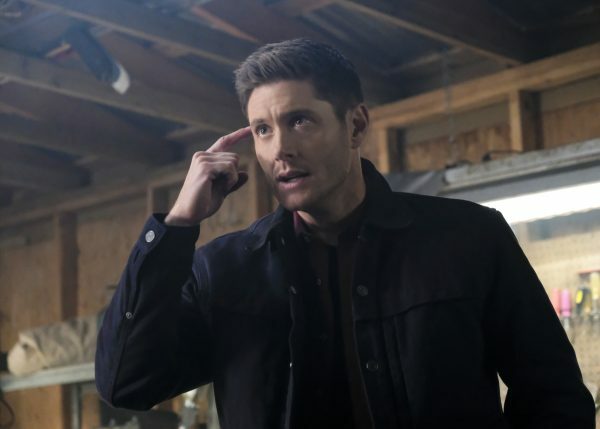 On the drive to the storage facility, Dean emphasized that Sam should learn that, when people are past the point of saving, he should just walk away. 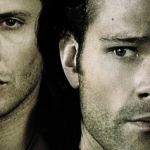 However, that’s not the Winchester way of life. 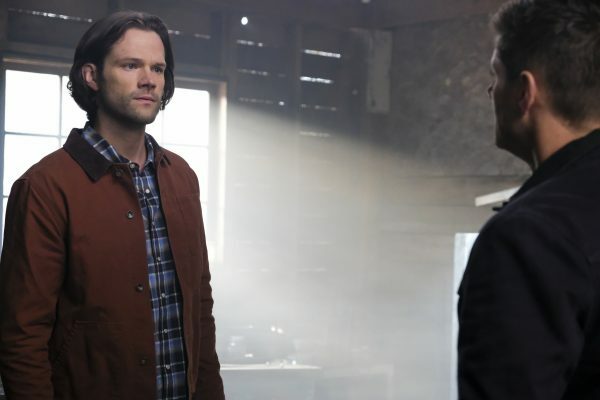 Sam will go to all ends of the earth and beyond to save his brother, just as Dean would do the same for Sam. Dean may not see any other solution at the moment, but I’m sure there will be one. The question is, will the outcome be worse for those involved? We’ll soon find out!